If this is the first time you've tried archery, there are a few things to be aware of. 1) Archery is mostly done outdoors, so check the weather ahead of coming. Bring your sunglasses, a hat, a water bottle and sunscreen if it's to be sunny, and something warmer to put on if it's overcast (it can be quite breezy at times). 2) If you're bringing children, remind them ahead of time that people are shooting arrows. For your children's safety they must comply strictly to anything the instructors tell them. 3) Leave the dog at home. It will be far more comfortable. 4) You will be one of many people also shooting for the first time - so no need to feel nervous - everyone feels a bit weird to start off with. 5) Although archery is something done by a single person alone, it's done among many like-minded people and is therefore a social sport. 6) The club can provide you with the necessary equipment even past your initial come and try day. You can choose to join in any Saturday or Sunday morning and pay a fee that includes equipment hire. Taking out a membership reduces this fee. 7) If you want to purchase your own equipment, the club has an extensive range of archery paraphernalia in the Pro Shop - just ask your instructor. Come "N" try sessions are only run at the following time and days. Check the club calendar to ensure it is being run on that specific day. 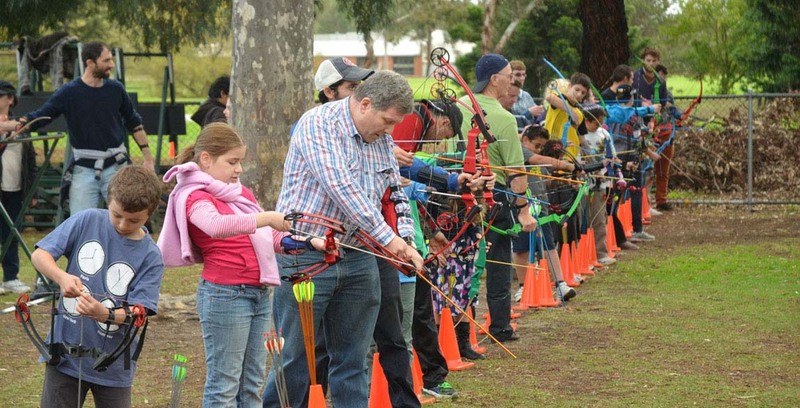 Moorabbin Archery Club teaches participants to make like Robin Hood and learn how to master a bow and arrow. 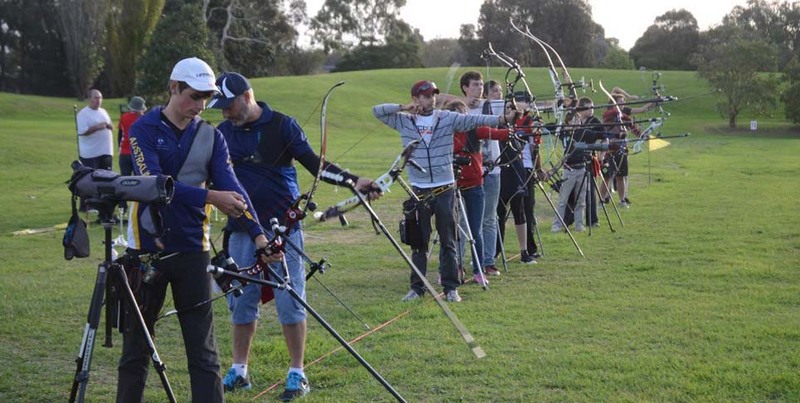 As Australia’s largest target archery club and the Victorian Olympic archery training venue, the club provides a great space for novices or veteran archers to come down and practice their archery skills. Located 16km south-east of the CBD, the club provides a great outing for an energetic weekend activity. Located Melbourne, Australia. 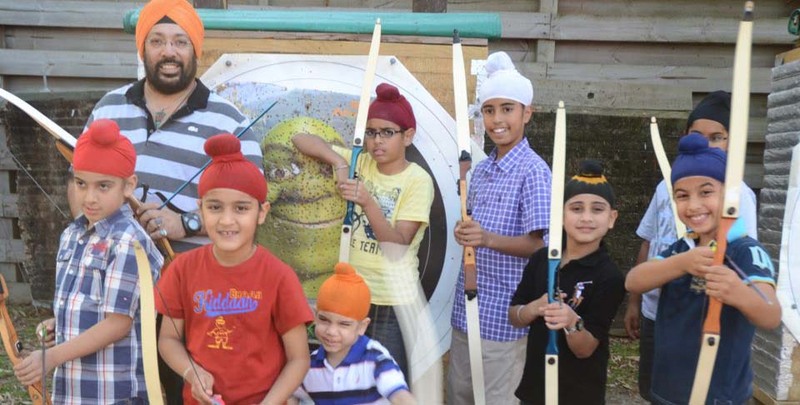 One of Australia's largest target archery clubs. Victoria's largest target archery club. Activities for ages from 6 to 80, 42 permanent outdoor target range, 18 metre indoor range. 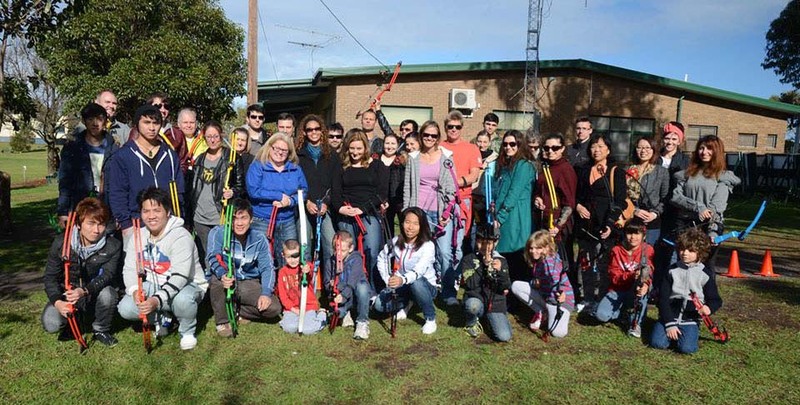 Open 7 days, Active Junior Program, Come & Try Program, Oz Bow Program, Birthday Parties, Corporate Days, Scouts & Guides, Schools Archery, All Abilities Program, Coaching, Affiliated with WA (FITA), AA. & AV. Olympic, Compound, Long Bow & Barebow Divisions. Disabled accessibility. Home of Champions, Victoria's Main Olympic archery training venue.